Getting a VoIP telephone system in business makes the communication effective and is an inexpensive solution for national and international telecommunications need of company. Voice over Internet Protocol (VoIP) telephone systems is the best option for today’s Internet-driven society, helping your employees to communicate properly. Most of the companies require many telephone systems for primary communications with other employees while working on the same project. VoIP services providers make you connect with other employees across the globe without paying much to traditional telephone companies in Miami. There are a number of potential benefits of changing your telephone system to VoIP telephone system. The companies switching to VOIP companies have decreased the cost of communication while increasing productivity. Telecom VoIP makes the communication system flexible of small companies as well as MNCs. They are not only known for delivering immense cost-saving services but are famous for adopting new technologies to survive in this ever-changing technological world. Every global enterprise, SMBs, entrepreneurs, and startups worldwide are gradually switching to VoIP to take in charge of communication and survive in this business. 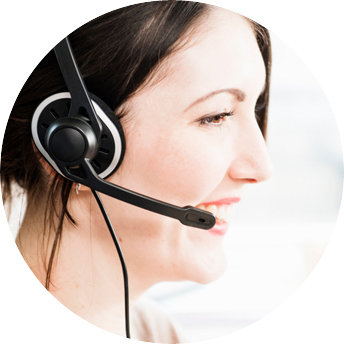 The quality concerns of calls have been solved with an increased prevalence of VOIP technology. The VoIP systems have reduced the costs with enormous quality leading to more satisfaction of the clients. The VoIP phone systems multi-task, so you can take the calls on various devices while sitting at home, office or any part of the country. The VoIP phone companies have indirectly led to making the employees more productive. With features like read the voicemail transcriptions from the email inbox has made employees strategize client call approach to work on the projects as mentioned by them in the call. Moreover, one can easily forward messages and voicemail in the VOIP systems. So whenever you receive an important voice mail or message, you should forward to your seniors or other people to make note of it with a click of a mouse. Call conferencing has connected various teams on a live call to discuss a project for planning and coordinating the projects so that they are completed on time. These are some vital and useful features of VOIP systems which have drastically changed the communication system in the business. The VOIP features are helpful in adding or subtracting some functions with ease, so VoIP telephone systems are helpful in growing business.